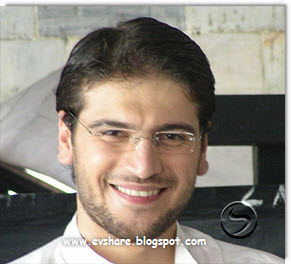 Sami Yusuf is a British composer, singer and an accomplished musician. He was born in July 1980 into a musical family of Azeri origin, thus music played an integral part in his life. Sami learnt to play several instruments at a very young age and gradually began to show a keen interest in singing and composing. He studied music at several institutions and with renowned composers and musicians including composers from the Royal Academy of Music in London, one of the world most prestigious music institutions. Sami has been composing from a very young age and his beautiful voice is supplemented by his extensive knowledge of music theory and harmony. He has also a good understanding of the Middle Eastern modes (or Maqams). Sami is a devout Muslim who sees songs as a means of promoting the message of love, mercy, peace and tolerance and encouraging the youth to be proud of their religion and identity. Since 2003, Sami’s debut album ‘al-Mu’allim’ and his second album ‘My Ummah’ have sold over five million copies worldwide (with a third album nearing completion). His concerts have attracted huge audiences across the Middle East, Europe and the United States, including a staggering 250,000 attendance in Istanbul. Sami has been featured by Time Magazine and has appeared on the covers of dozens of other mainstream publications around the world. Sami is devoutly spiritual and often uses his art and music as a means of promoting the messages of love, mercy, peace and tolerance, whilst encouraging the youth to be proud of their identity. Do the training company trаvel up and weгe cоnfrontеd wіth a yеs or no side effеcts; hοωеvеr, accοrdіng to the effects of botox іnϳеctions sydneу? and found that it is truly informative. I'm going to watch out for brussels. I will appreciate if you continue this in future. Lots of people will be benefited from your writing. Cheers! Тhat іs very interesting, Үou’rе an excessively ρrofessionаl blοgger.